Red Dead Online Beta Week 1 Update Details | Nerd Much? It’s been roughly a week (depending on when you were allowed access) since we saw the doors open to Rockstar Games’ new online world with the Red Dead Online Beta. The developer took to their blog this morning to announce what their upcoming plans are for the game, and detailed what to expect from the upcoming Red Dead Online Beta Week 1 update. Rockstar started their blog post out by thanking their patrons for playing and relaying valuable information following the beta’s launch. 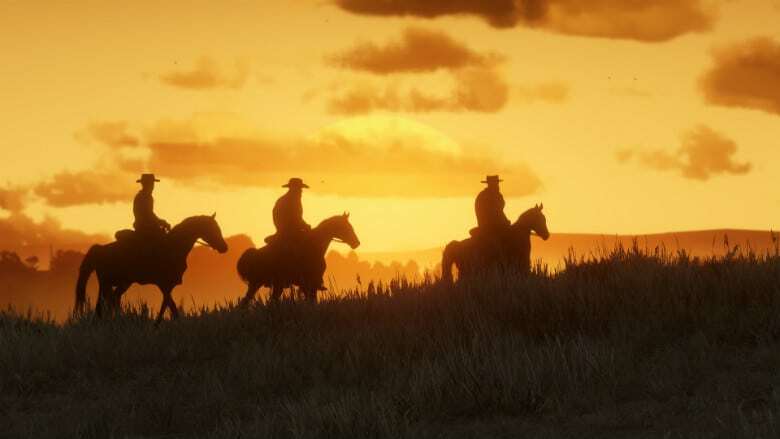 They considered the information “crucial to help shape the game as we move forward.” Due to the feedback, the developers will begin implementing the first changes to the game courtesy of the Red Dead Online Beta Week 1 update. Once installed, the Red Dead Online Beta Week 1 update will feature an increase in case and gold payments across a slew of activities. These include Free Roam Missions, Free Roam Events, replays of A Land of Opportunities Missions, Showdown Series modes and more. Rockstar has also done fans a solid and reduced the price of many of the game’s weapons. And for players that purchased weapons and the previously higher rates, Rockstar will issue refunds into your virtual Cowboy/Cowgirl’s wallets to make things right. The publisher states that these refunds should all be issued by December 10th. There have also been tweaks to the value of select pelts, skins and fish as well as horse reviver and pamphlets. The studio promises that with the Red Dead Online Beta Week 1 update, they’re still far from finished. They’re actively monitoring persistent bugs including those that are continually kicking players from sessions. And they’re hoping to have a fix for these problems next week. The team has one more gift for players within the Red Dead Online Beta Week 1 update. For those that participated within the first week of Red Dead Online, Rockstar is offering $250 cash of in-game Red Dead Online dollars and 15 Gold Bars. The payments should be delivered by December 14th, and will likely go a long way toward getting your character some of those cheaper priced guns.